I know, I claim to be a TrendSurvivor and not a Fashion victim but I confess I got the ugly shoes in white. Let me say that I didn’t get the furry Celine version and I resisted the floral Givenchy, I bought the original German white the two-strap sandals, the Arizona, Birkenstock. 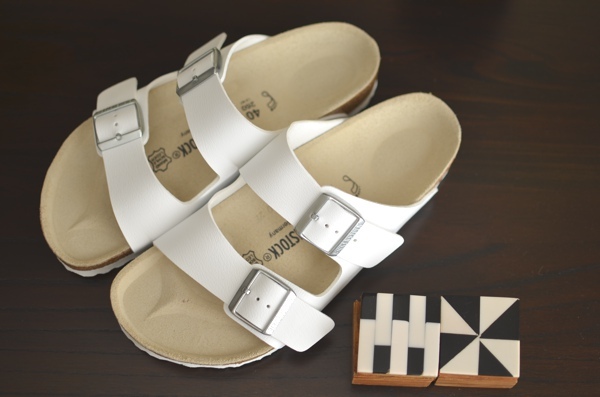 The Birkenstock brand traces its roots to the German Johann Adam Birkenstock, registered in 1774 and after the 1980s, Birkenstock footwear has become popular among medical professionals who work on their feet. 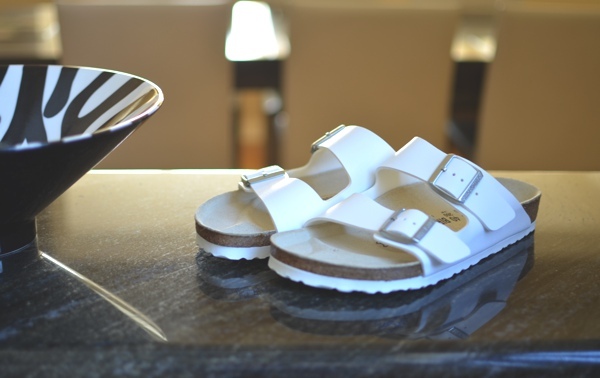 Now, thanks to Celine and other top shoe designers, what in Germany people most often use as house slippers become a fashion statement, usually referred to as the ugly shoes. Bloggers have incorporated them in their outfit posts and I think they look super cool. Will you wear them? I know my blogger friend Daniella (LellaVictoria ) wears them but this girl can pull of anything…. I love love your style!!!!! I saw silver and gold ones and thought that would look cool too…. Hahahaha I think at the end you will love them… you just don’t know it yet my dear AF!!! Wow. Glad he is yours. Never was a big fan of Birkenstock but love that red bag, what is it…. I love the title of this post! I have been seeing this shoe everywhere and I have to admit, I am intrigued…they look so comfortable. I broke my foot last summer so I was only allowed to wear sneakers…this seems like a nice alternative and make my ortho doctor happy 🙂 I like the stylings where the shoe matches the pants, making it very monochromatic. 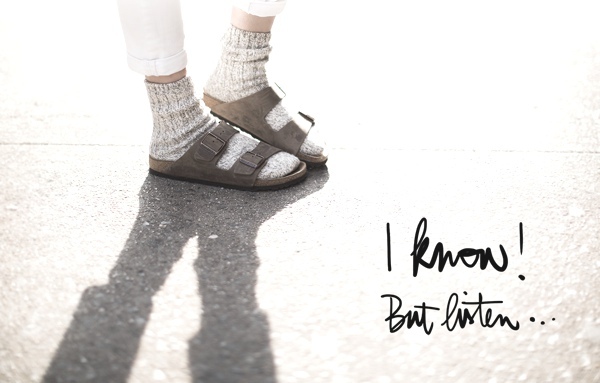 I tried the Givenchy ones at Nordstrom’s and thought they were really cool… so I knew I was ready for Birkenstock… They are a doctor’s favorite hahaha… I agree with the monochromatic concept. Great post though. I would love to try them out, but then again, it might just not work. very interesting ! they’re not really my style so I think I can’t pull them off, but when those in your post and other bloggers, where them they definitely look comfy and nice ! I don’t think I’d wear them, but I like the photos you found! As long as you love them and they make you feel good, then they’re fabulous!!!! I absolutely love them. They look so subversive and so minimalist. There is such beauty in truly functional, effective clothing.